I was cleaning up around my shop the other day and came across my stash of Norvel ( .074 and 2 - .061's) and Cox engines (.049QRC, .049 baby bee and my brother's 0.010). And I also cleaned off the dust from my old SST w/ Norvel .061 - I need to get that thing going again; it just needs a new receiver and battery. I came back to this forum after a few years off to see what people are working on, but I'm not seeing many new projects. Are we running out of stuff to build or did everyone go electric (my fleet is about 50% electric these days)? that has given me the itch to build something for one of my Norvel .061's. It would be nice to add a couple of 1/2A planes to my fleet. Nice! I'm glad to see this segment of the hobby still having some life. I will try to get something built around a Norvel 0.061. I'm thinking an Ugly Stick type model should fit well in my fleet of models. Post some pics of your projects here if you don't already have a thread going. Well, I´m finishing the construction of an ACE Simple Cap (after 2 years collecting dust) and starting a Cloud Kitten .15 for my son. Nice! I'm glad there are people keeping this end of the hobby alive. 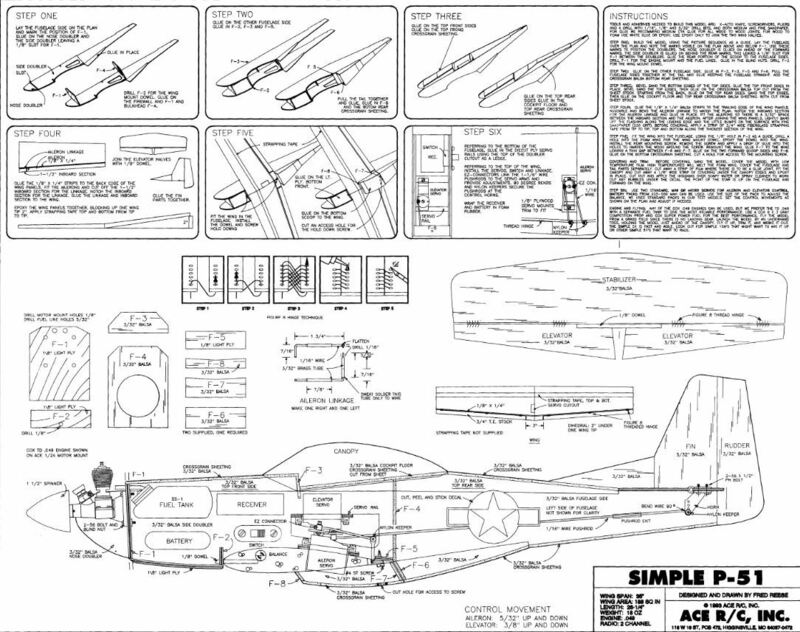 I've been trying to track down plans for the ACE simple Mustang, but I haven't come across them yet. I think the mustang and the ME-109 (which I have found plans for) would make a nice build. So if anyone has plans for that Simple Mustang please let me know. Jaime, I got em. But I'm very busy right at the moment. give me a week or two. I don't check here often anymore, but I'll try and remember. just no time right now to figure out how to get it to you. I need the corsair, if anyone has those. flew my first plane at 14 and it was built from a kit by me . 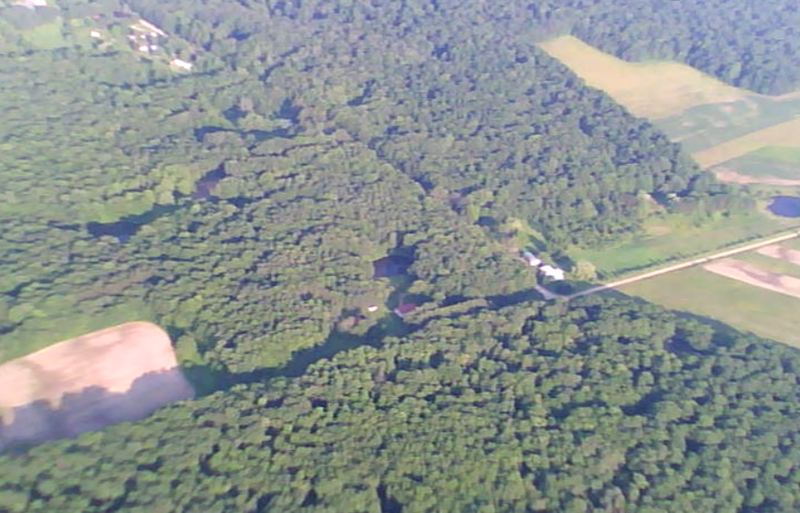 I am now 63 and have never done anything other than build what I fly. I learned young, that the building was as much a part of the hobby as the flying. to be honest , I don't even like the idea of all the current ARF and RTF planes.....I consider them "cheating" and can't understand how someone can derive satisfaction out of flying them.. planes I fly now a days, are also drawn by me. Yeah, I got started with this hobby back in the 90's, just before ARF's were a significan't thing so I learned how to build. For me, what I enjoy the most about the hobby changes. Sometimes I really enjoy building and other times I enjoy flying more. At the moment I'm enjoying the flying a bit more so my projects are simpler. I just designed and built my own version of the CrazyE wing (necessary after I crashed my CrazyE wing). Next I hope to tackle a redesign of the Simple Series Mustang. So far thing are diverging from the original design... the scale outline of the wing has a bit more wing area than the kit's original foam wing so I'm going with the scale outline. Secondly the original is built like a tank (and probably weighed as much) so I will be changing some of the structures to lighten it up. I'm also designing it for both glow (I have a couple of Norvel .061's) and electric. I'm targeting the end of June for a maiden on both versions. Back in 1951 when I was 10 years old I saw a photo of a Russian Mig 3 in a library book and I was hooked. I traced the photo (no copiers in those days) and a couple of others that I found and a couple of 3 views then drew me up a set of plans. Ultimately I built that model for controlline and also a Corsair with both being powered by an ..049. 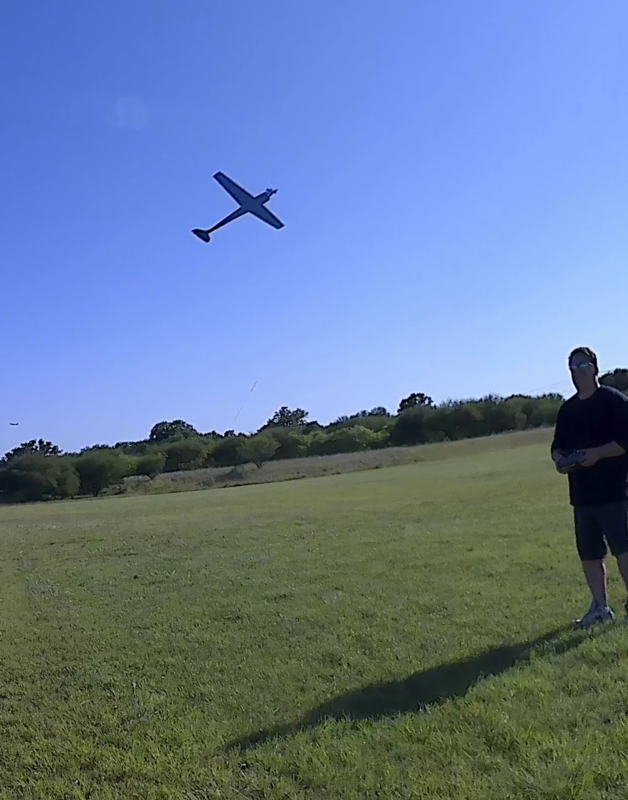 Both planes flew great and gave me many hours of enjoyment. Power was initially an OK Cub but later a Golden Bee after some mods to the firewall. I still build some but not like I did years ago. Most of my planes are built by me but I do have a few ARF's to fly. never built it though. I did a built up wing for a Messerschmitt, I wanted to do a P40 too, but never got around to it. I need to start building again. They aren't that heavy, flew the Messerschmitt with just a "product" .049 from a Droid star wars plastic control line plane. Flew slow, but flew well. What's an A/B/C model? I'm not familiar with those. As far as design changes go I plan to modernize the construction with alignment tabs and a large front hatch to allow for quick battery changes and access to the radio gear. I'm still on the fence with the wing... don't know if I'll design it as a built-up wing or stick with foam wings. I might be off my schedule a bit as I just took on a project for a fellow club member; I'm building a 50cc sport plane for him, but I will get something 1/2A size in the air this year. A/B/C ? I don;t know either unless you are talking metals (Aluminum piston, Brass but Chrome plated sleeve) used in high speed engines. ?? Get er done! Last edited by gmeyers; 06-12-2018 at 08:15 AM. 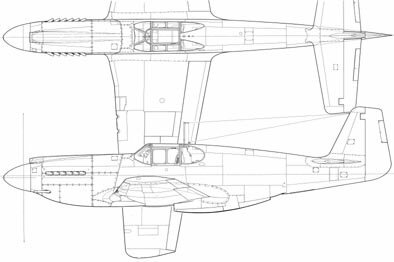 By A/B/C, I was referring to the P51A variant, with the razorback canopy. 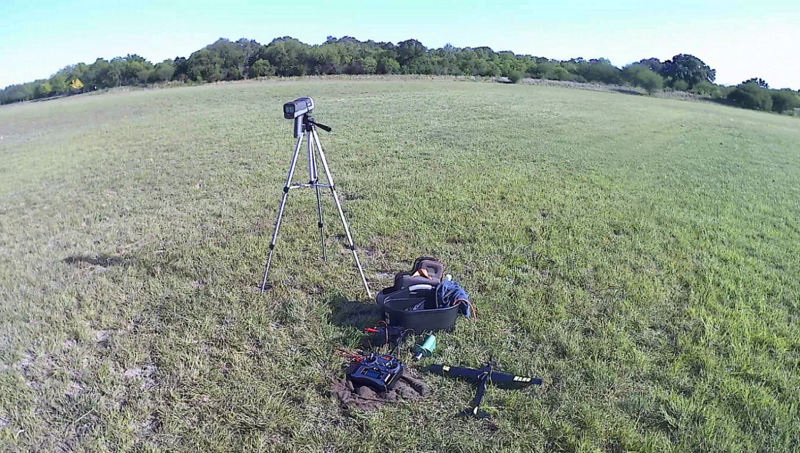 Been doing the 1/2a video thing, as well as other 1/2a flying. Working to build another wing, for forward camera mountings. Couple more captures from the videos.. I build all the time ! I build and fly R/C, C/L, and FF. I even build rockets. You won't catch me with an ARF ! Send a private message to GUS THE I.A. Find More Posts by GUS THE I.A.